Twenty years ago liberalism in the Southern Baptist Convention experienced her Waterloo in Dallas, Texas, as 45,000 messengers set the course of our beloved SBC for the next two decades. We are all grateful to the leaders of the conservative resurgence including my friend Paul Pressler, current Southwestern Theological Seminary President Paige Patterson, and the late Adrian Rogers for their foresight, courage and wisdom in snatching the SBC from the clenched jaws of dead neo-orthodoxy and restoring our seminaries, agencies and institutions to an unapologetic adherance to the inerrancy of God's word, the sufficiency of Christ's work, and the evangelical missionary zeal which has marked the SBC since her formation in 1845. I have stood side by side with my fellow conservatives and toe to toe with liberals in our convention over the years. When the Cooperative Baptist Fellowship organized in Oklahoma I nailed on the door of their organizational meeting "95 Theses Against the Formation of the CBF," an act which marked me forever as an opponent of the CBF, and resulted in a caricature of me by the unofficial artist of the CBF in Oklahoma. My forefather, Dr. Rufus Burleson, was President of Baylor University and twice served as President of the Baptist General Convention of Texas in the late 1800's. I myself recently completed a second term as President of the Baptist General Convention of Oklahoma. I bleed Southern Baptist blood. I have personal battle scars as a result of the war against liberalism within our convention. I am glad and I rejoice over the conservative resurgance. I am a conservative. I love my convention. But sadly, a new war has begun. It is a war initiated by fellow conservatives; conservatives who have forgotten how to put their swords in their respective sheaths. It is a war that technically may not have just begun, but one that simply never ended. Conservatives who loved the battles of decades past have fallen victim to a crusading mentality of bloodthirst. Since all the liberals are gone, conservative cruasaders are now killing fellow conservatives. A clear understanding of how this war is proceeding may be seen in the recent actions of the International Mission Board, an agency that I now serve as trustee. New policies were recently approved by the Board of Trustees of the IMB regarding the appointment of missionaries. The new policies forbid the appointment of any missionary who uses a private prayer language or one who has not been baptized by a "qualified administrator" of baptism. I personally and publicly opposed the proposed new policies of the IMB not because I do not believe we need standards for our missionaries -- we do! I opposed the new policies because we already had excellent policies on the books regarding tongues and biblical baptism. My objections to the new policy on baptism are well documented, so I will not go into them here, but I will use the new policy on "glossolalia" to show how crusading conservatives are killing other conservatives. Why have some conservative crusaders now insisted on new policies at the IMB regarding tongues? Again, it seems clear to me that some conservative crusaders have yet to learn how to sheath the sword, and rather than cooperate with fellow conservatives in reaching the world with the gospel of Jesus Christ, they have gone after the head of Dr. Jerry Rankin. I have been told by an authority in the crusading effort that there are some trustees who will settle for nothing less than Dr. Rankin's "head on a platter." A conservative killing a fellow conservative. What a shame. It is not my intention to defend Dr. Rankin. The issue is much larger than one man. This is not about Dr. Rankin, Dr. Draper, Dr. Crews, Dr. Chapman, or anybody else in leadership of the SBC. If we are not careful we are going to lose a younger generation of pastors that are disillusioned with the SBC because all they see is the continuing narrowing of the parameters of fellowship within our convention. These young pastors don't see eye to eye with the conservative crusaders, but they themselves are conservative, seeking to reach their generation with the gospel. Where, they are asking, do we fit within the SBC? Our convention hated liberalism twenty years ago and we expelled it from our midst, but at this hour we better hate legalism and Fundamentalism as much as we did the former liberalism or we will find ourselves so fractured and fragmented that we no longer have the ability to cooperate about anything, including missions. We all agree on the inerrancy of Scripture and the nature and work of Jesus Christ our Lord, but we must not be Fundamentalists when it comes to our convention. Fundamentalism with a capital F is known for her independence, separation, schism-making, and her "I'll do it my way without your help because you don't qualify to work with me" attitude. The war that is now taking place with crusading conservatives attacking cooperating conservatives is following the same battle plan conservatives used to defeat liberalism. Crusading conservatives are using private meetings at trustee meetings, an unethical violation of all agencies' guidelines, to cram their agendas through. Crusading conservatives are influencing nominating committee members of various states to place on the different boards and agencies of the SBC those who are in lock step with crusader goals. Agency heads who are not the appointed leaders of crusaders, i.e. elected by the crusaders themselves, are being forced to resign or simply removed. Crusaders gather to elect chairmen of the boards and appoint committee chairmen. Crusaders have an agenda and if anyone steps in their way they become vicious. Ask someone who has dared to speak out against a crusader. I am a conservative. I will cooperate with other conservative evangelicals until the day I die. I fought one war to rid our convention of liberalism. I sm prepared to fight another war to rid our convention of legalism. I, and others, are now being attacked by conservative crusaders who want to rid our convention of fellow conservatives who don't interpret Scripture like they do. These crusaders refuse cooperation in favor of conformity, and I really think it is because they have forgotten how to minister in the power of the Spirit through prayer, humility and cooperation. If the crusaders sheath their sword, I promise, I will sheath mine. I do not want to fight my fellow conservatives. I want to cooperate with every conservative to win the world to Christ. However, the stakes of this war are too great to roll over without a fight. This war is about the future of our convention. I promise you I will ask the Lord for grace and mercy for us all. But I cannot stand by and watch our convention die. Today it is "glossalia" vs. cessationists and the "proper administrator" of baptism vs. biblical baptism. Tomorrow it might be Calvinism vs Arminianism or Dispensationalism vs. Preterism. Where will it end? Why can't it end NOW. We need cooperating Baptists instead of crusading Baptists. I believe, as did Spurgeon, there is a time to take draw a line in the sand for the cause of Christ. Thanks for your post. I too think that this is my line in the sand--stand strong friend. Your words are powerful and heartfelt. Thank you for your standing true to your convictions. I agree with your assessment of past history and present events. I'm proud to call myself a conservative Baptist who is also willing to forgo the 'party line' for biblical fidelity, and secondly for Baptist identity. These new IMB guidelines appear to reject both Scriptural authority and historic Baptist beliefs. "Unite us. Unite us. Unite the clans!!!" Great statement, Wade. I stand with you all the way. Wade, I appreciate your perspective and agree with your observations. We have taken our eyes off Christ in order to scrutinize one another. We have attempted a coup against the Holy Spirit, suggesting that we can do a better job than He of ensuring holiness in the lives of other believers. Our denomination reeks of pride, arrogance and discord. We have brought dishonor to the name of Christ and distracted from His Purposes. We need to fall on our faces in corporate humility and repentance, and plead with God for mercy. My prayer is that He would bring reconciliation, not division, in a way that only He can accomplish. I don't want to see the crusaders crucified in this, either. But rather that God would break all of our hearts and bring us back into unity and humility before Him. Sir, I'm sure Bertha Smith would desire better missionaries than herself on the field, but I am also quite sure she would be ashamed that her convention is now excluding people from the mission field that are like she was. "Be friends, you English fools, be friends - we have French quarrels enough, if you could tell how to reckon!" I wrote to you earlier criticizing a decision that you were involved in, but I want to write now saying how much I appreciate your comments here. Thank you for truly standing up for the Scripture, our Baptist heritage and myself and the many other workers serving around the world. I just discovered your blog and I have to say I am shocked and disappointed. In fact, I feel like I have awakened in some sort of Baptist Twilight Zone. Historically, Baptists have been against tongues. And we have always had our particular view of baptism. I see no need to change. Prayer language is not biblical. And tongues as practiced today is not biblical. We are Southern Baptists but people have a hard time telling us from the Assembly of God. Scripture is God’s revelation. It is objective and authoritative. We don’t need the subjective nature of tongues competing with Scripture as an authority. I have a hard time understanding why any Southern Baptist would support an unscriptural mode of baptism. Baptism is by immersion only, according to Scripture. The proper candidate is a believer. The proper place is within the community of faith, the local church. It is a command given to the church. The very idea that missionary candidates expect to be approved who don’t meet basic Baptist standards is beyond me. I suspect that they see the benefits of serving with the IMB and apply, not because of conviction, but because of other interests. Baptists hold that their theology is based on Scripture. One needs to be a Baptist by conviction and Bible study. If one does not agree with the Baptist definition of a church or of baptism or tongues, then they need to be honest, people of integrity and go and be a part of a group that agrees with them. It is wrong to try to import alien theologies under the guise of being progressive or modern. It seems to me that you are unsheathing your sword for all the wrong reasons. And it worries me, an average Baptist pastor, that there are IMB trustees carrying on this kind of attack outside the board meeting. If cronyism exists, and I am sure it does, ( it exists in every church) this is not the subject to use as a basis for battle. These are solid Baptist principles and to oppose them puts in jeopardy the theological integrity of what it means to be a Baptist. Wade- as a conservative, young pastor in Northern Missouri, and a former IMB employee, I want to thank you for your encouraging, yet unequivocal, letter. I am in absolute agreement with you and would enjoy the opportunity to help rectify the inherent problems that have been, and continue to, creep in amongst our SBC. Please let me know if there's anything I can do to help. "Again, it seems clear to me that some conservative crusaders have yet to learn how to sheath the sword"
It seems to me I have read somewhere, "Those who live by the sword, die by the sword." As one who also used to "bleed Southern Baptist" I am truly sorry for those who sincerely thought that it was a "conservative resurgence" when it was really a blatant, political power grab. Thank you Wade for your comments. Isn't it amazing those who disagree seem to have the same name, anonymous. I pastor a new church plant and attempted to join the SBC, however the events over the last few months within the convention have caused us to rethink our views. I have a long history as a SB, however I am beginning to see that the SBC is nothing like I thought it was. I too grew up during the Conservative movement and you are right the fighting tactics used then are being employeed now. Shame then and shame now. I agree with the young pastor above, I am a follower of Christ first and SB by choice. I don't bleed SBC and certainly hope not to die and still be SBC (I will be a resident of Heaven). SBC leaders get over yourselves and get back to the Bible. Baptism according to the Bible is never meant to regenerate a person, nor do I find where one must be authorized by the SBC to baptize. I guess some think Philip was Baptist, I sincerely doubt he would have left discipleship to become one of us! Sorry, just caught up in the emotion. God bless you all and let's be about the Fathers business. Randy Davis said: And we have always had our particular view of baptism. I see no need to change. ...I have a hard time understanding why any Southern Baptist would support an unscriptural mode of baptism. Baptism is by immersion only, according to Scripture. The proper candidate is a believer. The proper place is within the community of faith, the local church. It is a command given to the church. The very idea that missionary candidates expect to be approved who don’t meet basic Baptist standards is beyond me. I suspect that they see the benefits of serving with the IMB and apply, not because of conviction, but because of other interests. 1. Given the theological history of Southern Baptists and the current tenor of the Convention, may I ask if you are Reformed? If not, then you are out of step with our truly historic theological convinctions regarding soteriology going all the way back to the founding of Sandy Creek Baptist Church, not to mention the founding of the Convention itself; so, assuming you are like the majority in this Convention who are not Reformed in their soteriological convictions, would you also advocate we return to Calvinism? While I myself am Reformed, I have found that we Reformed folks are, how shall we say, less than welcome by the majority in our Convention and what we believe is frequently misrepresented. If the majority of Southern Baptists really believed we should hold to ALL our historic theological and orthopraxic distinctives, then we'd all be reforming our churches toward Calvinism after the manner of our 19th century forebears. That's not going to happen anytime soon, and even those of us in the Founders Fellowship realize this, but the point is that, if that's an argument that's going to be made, then it needs to be made consistently. 2. More importantaly, where has Wade Burleson said that we should deny the baptismal distinctives you name in your response? 3. What Wade Burleson and many of us oppose in the baptism "guideline" is the idea of tying baptism to the doctrine of eternal security. This is NOT a distinctive Baptists have held in the modern era. Only Landmark Baptists have ever tied the efficacy of baptism to the denominational affiliation of the local church and/or the baptizing official in the modern era. 4. The guideline establishes that candidates must have been baptized in a Southern Baptist church or in a church of another denomination that practices believer’s baptism by immersion alone. Also, the baptism must not be viewed as sacramental or regenerative, and the church must embrace the doctrine of the security of the believer. His current church (FBC Anycity, USA) has accepted him as a member in good standing, where he has been serving for a few years. (Which all the SBC churches I have ever served myself would do, so "Check" on that one). According to IMB policy, he must be rebaptized, not because he professes Christ, but to serve as an IMB missionary. Scripturally, his baptism is valid. His church has agreed, and he was accepted by their common consent by his deacons, the pastors/elders, and the congregation. For the IMB, however, institutionally, it isn't valid. 6. Baptism must be in an SBC church or another church that affirms believers baptism. Most SBC churches do, but some don't. Many denominations that practice credo-baptism do not affirm eternal security / perseverance of the saints. Thus, the test here isn't believer's baptism; it is conformity to eternal security, not by the prospective missionary (who should do so already via affirming the BFM Article V,) but rather by the local church that baptized him, not by the church recommending him of which he is a member, if that church is SBC and affirms eternal security. The BFM 2000 lays out no such qualification. Moreover, the prospective missionary must affirm it anyway, and, in affirming the BFM, assuming John is honest, he is stating believes in eternal security anyway. However, according to this statement, which is from the IMB, they are going to look at the church that performed his baptism, which may or may not be the recommending church. Correct? Why? If he personally already affirms eternal security by virtue of affirming the BFM Article V, and he has already been baptized as a believer, then why examine the church that baptized him? I have no problem with them having to affirm the BFM, etc. as that is common practice in the denominational agencies and has been for some time now, but if this would mean that John would have to be rebaptized, even though his baptism is, itself Scriptural, if the church that first baptized him did not affirm eternal security, even if his current church does affirm the doctrine. If so, then doesn't that put the IMB over the local church where he is now a member, contrary to the BFM on the local church? That is NOT our historic Baptist belief within this Convention. It is an historic belief of heretics and schismatics throughout history and, largely, a non-Protestant practice. Our historic Baptist belief is that credobaptism is an ordinance that identifies us with Christ after conversion, not an ordinance that identifies us with Christ and with a denominational entity and all the doctrines held by that denomination. That infers that saving faith is dogmatic faith, a Roman Catholic doctrine and makes baptism an identification with a line of succession and makes baptism a sign of conformity to a particular set of doctrines beyond the kergyma itself. The IMB's policy supercedes the BFM and that of the local church in this case. It's one thing to require missionaries to affirm the BFM; it's quite another to examine the confessions of the churches who baptized prospective missionaries.Orthodoxy is not guaranteed by succession, to parrot the Ante-Nicene Fathers, it is determined by an individual's personal conformity to the rule of faith in Scripture, which the prospects must affirm through affirming the BFM 2000, our common confession. One might say that orthodoxy is not determined (or disaffirmed) by believer's baptism. The IMB has a right to determine who it will send, but it has no right to supercede Scripture with respect to the church ordinances and their administration. The rationale here seems to be that doing this will eliminate tongues speakers or those sympathetic to them from service, since, allegedly the same churches that affirm glossalolia disaffirm eternal security. That's poor logic and not exactly true anyway. It also sets a bad precedent. What's next? If a majority of non-Reformed Southern Baptists who spout anti-Calvinist nonsense attain a voting majority on the IMB board, shall they go after all the Reformed folk by adding baptism to the list of approved doctrines as a means to eliminate Calvinists, or shall an IMB majority of all Calvinists come on board and declare all dispensational premillenialists should not be allowed to serve? That's the kind of thing that this kind of thinking affirms. It must be stopped in its infancy. I am defending Biblical baptism by immersion against Fundamentalist Landmarkism. If you don't know what that is, look it up in your history books. It almost split the SBC in the 1850's. The Landmarkers left. You may be a Landmark. That's fine! I'll fellowship with you, love you, serve with you, etc . . . But unfortunately, Landmarks usually refuse to fellowship with those who are not Landmark themselves (Landmarks believe the only "valid" Baptism is one performed at the hands of a "valid" administrator of the baptism). I am fighting to keep our convention in a position of conservative cooperation rather than conservative conformity. Reread my post regarding tongues. You may believe "glossalia" is not Biblical --- fine. There are many other great conservative evanglicals who believe "glossalia" is Biblical including Miss Bertha Smith, Jack Taylor, Sam Storms, Jerry Rankin etc . . . I am fighting to keep our convention in a position of cooperation with evangelicals who disagree on the tongues issue. Your post leads me to believe you want them gone from our convention. My initial post is now proved. I would add that the rationale being given for these policies is not simply the exegesis of Scripture itself, is it? They have publicly stated that they are grounding their decision in what the majority of Southern Baptists believe. Fair enough. They have that right, and I actually agree. A denominational agency should ground its policies in the will of the Convention in some measure. Take for example, the seminaries. They should not employ faculty that contradict the BFM or the Abstracts of Principles of those seminaries under which they have operated, some since their founding, and which antedate the BFM 2000. However, if we follow their own argument (that the majority of the SBC believes and practices a certain thing), their own position is the one that fails its own test. The majority of the SBC does not rebaptize persons coming from credo-baptist communions if they or their baptizing churches do not conform to the doctrine of eternal security or if the receiving church does not affirm a particular view on tongues (or eschatology or any other peripheral issue) but the sending/baptizing church does affirm those doctrines. The majority of churches do not practice or affirm glossalolia in their church covenants or confessions or preach its affirmation from their pulpits. That is very true, but they do affirm the right of private interpretation of the Scriptures in this area and the right of private practice within their memberships and preach that it is not a cause over which to divide their churches or refuse to cooperate with other, more forgiving denominations or churches. By their own yardstick these trustees have supplied the grounds of the dismissal of their own position. If they really wish to ground their decision in the will of the majority of the Convention's churches practices and beliefs, then they should do exactly that. Brother Wade, you should thank you fellow trustees for doing you a great service by telling you their reasons for this decision, since the majority of the SBC does not really hold to their position when their position is carefully considered. Baptism must be in an SBC church or another church that affirms eternal security. Most SBC churches do, but some don't. Many denominations that practice credo-baptism do not affirm eternal security / perseverance of the saints. My apologies for my inattention to this earlier and for any confusion. "If we are not careful we are going to lose a younger generation of pastors that are disillusioned with the SBC because all they see is the continuing narrowing of the parameters of fellowship within our convention." Over the past four years, I've been to a number of events in which I've met church planters who identify with the SBC - conservatively, I've talked with about 30, from all over the U.S. Out of this number, only 3 are planting SBC churches. This kind of supposed doctrinal (but in reality, political) pettiness is what is driving the rest away. You want to receive NAMB support? Sign here, and tell us you won't drink, speak in tongues, and that you've been baptized right. Young pastors who read their Bibles say, "Thanks, but no thanks." The irony of this is that these young pastors, indeed, are theologically conservative, and it's their conservative views of scripture that are problematic. I agree with the previous comment that asks the trivia question. Pharisees abound in the SBC. John the Baptist (how ironic is that?) would call US a bunch of snakes. He'd be right. The argument that says, "The majority of Southern Baptist churches believe ____________" is a horrible argument for so many reasons. For one thing, too many Southern Baptists don't really know what they believe in the first place. They've heard reference to a handful of "Baptist Distinctives" along the way, but have never dug deeper than their quarterly in their study of Scripture. Saying that the majority of SBs believe a certain thing about an issue is meaningless. If we've learned anything at the annual meeting in the last decade, it is that the "SBC" will endorse just about whatever a handful of convention personalities tell it to. Further, if "the majority believes x" is a valid argument, then woe be unto those of us hold to a Reformed soteriology or would dare to depart from dispensational eschatology. And finally, let us not forget that "the majority believes x" argument has been used in SB life in the past to promote slavery as normative Southern Baptist doctrine. Indeed, sometimes the majority is just wrong. Just an encouragement to remember that the only description we have of Christ is that he was full of "grace and truth." Word order is important. Grace first. Yet truth must be spoken. So, thank you for the complement. I do love and respect all my brothers in Christ, even those who disagree with me, and I am glad my spirit in this matter is recognized by you. Wade, as a suggestion, modify your settings so that posts are sent to you before posting. Weed out cowardly annonymous and stick with the ones who want genuine conversation. The flamers are thickening...and what courage! Not all of us who claim the name conservative have agreed with the political narrowing of the convention. My fear beyond the obvious theological ramifications of the IMB policies(I am a trustee who has stood with Wade in the debate)is that from a historical perspective we appear to be moving back to a societal approach. Policies such as these, and the political machine that has spawned them, will continue to marginalize good conservative churches and push away dynamic young pastors if good men and women do nothing (this includes those of you who revel in your past warnings). To those of you who ask if this cause is worth fighting and the convention worth saving. I would point you to the 5,000 plus missionaries who are serving overseas. The work of the IMB around the world is nothing short of spectacular. It is for them and the ones after them that I feel most responsible. Thank you Wade for this courageous commentary. Rick Thompson identifies an additional area of concern. I am worried about the future of the Cooperative Program. I am seeing many leaders in my generation begin to pick and choose what causes they will support. I fear the day when a church will lose confidence in the leadership in Nashville and begin to forego the cooperative program in favor of sending money directly to Southern Baptist entities. The results of such a movement would be devastating. State conventions would be underfunded (most churches do not realize that a large percentage of cooperative program dollars goes to the state conventions). Seminaries would take on a regional flavor, finding direct support from churches in surrounding states. Missionaries might see salary reductions and be forced to raise funds personally. We would see a return to the troubles of previous generations. Representatives of various entities would be forced to travel to churches to find support to continue their ministries. I believe that the Cooperative Program is a powerful tool that has served Baptists well. A return to the societal approach to missions and education would take our convention in the wrong direction. But since I'm now officially a Pennsylvanian, I will tell you that those of us up North, outside of SBC culture, fully understand the implications of this move. We are deeply concerned and praying against what is happening. Thanks for being willing to take the heat and speak out. I deleted a negative comment signed by "Anonymous" and received an email critical of my decision to delete unsigned negative comments and not unsigned supportive comments. He was justified in his criticism. Therefore I have removed 22 unsigned comments that are supportive of the original post. All comments from this point forward must be signed. Thanks to all of you who have a love and concern for the cause of Christ and the Southern Baptist Convention. 10. You will align yourself with a group of biblically conservative evangelical Christians supporting historic mainstream Baptist beliefs and practices, and seek to reach the world for Jesus Christ in cooperation with them. In regard to the predictions above, I’d like to be proven wrong. I challenge you and the other Southern Baptists involved in the present matter to do as you yourself have suggested you will: get to the heart of the matter, deal lovingly but appropriately with those causing the difficulty in the body (about this issue and all others dividing brother from brother), and move forward for Jesus Christ once for all. To date, no one has had either the courage or the persistence to follow-through in this way; possibly, an ancestor of Rufus Burleson can be the first and get it done. Time will tell. Unfortunately, the two are not always congruous. In the late 1800s, the Southern Baptist position was pro-slavery, pro-KKK and openly racist. Yet very much unbiblical. How is policing a person's intimate, private time with God in the privacy of their own prayer closet biblical? The issue here is not whether they are teaching rampant charismatic theology to the masses. It is an intrusion upon their private worship. And the issue with Baptism is that we are attaching extra components to it,and turning it into something that is clearly UN-Biblical. Baptism is an outward symbol of an inward confession, not a pledge of membership into an organization. I chose to make an exception to the anonymous posts by posting the above comment. I found it to be both thoughtful and articulate, and having been explained to me the reasons behind why it had to be anonymous, chose to make an exception to the rule of anonymity. I" really think it is because they have forgotten how to minister in the power of the Spirit through prayer, humility and cooperation"
You are waking up and smelling the coffee 20 years too late. All of the practices you properly identify as abhorent-- like secret meetings, pre-determined committee decisions, etc.-- were used to drive "moderates" out of the SBC. First they came for the moderates, now they are coming for you. And what happens when, in a series of events, a Presbyterian comes to membership in Bethlehem Baptist church without proper baptism then becomes a Southern Baptist by statement and applies to be a missionary? Nobody is arguing for paedobaptism or its validity here. This is a cute hypothetical, but our policy already covers it. Since when did credobaptism come to mean you accept a particular doctrine of tongues and eternal security? You need to provide some biblical justification for that. You see, here's the problem. You agree: And nowhere in Scripture is Baptism associated with the Perseverance of the Believer....but notice that the new baptism policy/guideline does NOT say that a person must be rebaptized on the basis of his affirmation or rather disaffirmation of tongues, it ties it to eternal security, not tongues. This makes no sense. The logic behind this is that most non-cessationist churches disaffirm eternal security, but that still begs the question of baptism, and plenty of churches affirm both doctrines. How is it a "lowering of standards" to keep our baptismal policy where it is now? If anything the slippery slope here argues that we can start attaching Convention majority belief and practice to any doctrine and attaching it to baptism, and that is what Dr. Burleson is fighting. is a poor argument to suggest that because Bertha Smith or others did so makes it ok. What does Scripture say? What has been the Baptist position? I dare say that most people are not aware that Bertha Smith practiced prayer language. The issue is not who has done it, the issue is what is right. It is the responsibility of the Trustees to uphold proper theology, not make exceptions on the basis of some historical person’s private habits. If it came to light that several great Baptists of the past were adulterers would that make it ok to lower that standard too? Good point! The logic being offered by the supporting trustees is exactly the logic you decry here, so it's difficult to see why you are upset. They have not stated that Scripture alone grounds their decision. They have said that their decision is grounded by what the majority of Southern Baptists believe and practice, a premise you seek to deny. The majority of the SBC does not rebaptize persons coming from credo-baptist communions if they do not conform to the doctrine of eternal security, and you agree that they shouldn't. The majority of churches do not practice or affirm glossalolia in their church covenants or confessions or from their pulpits, but they do affirm the right of private interpretation and practice within their memberships. By your own yardstick these trustees have supplied the grounds of the dismissal of their own position. Thank you. (1) I can tell that this split has caused and is causing you pain. I'm sorry on your behalf that this has happened. I am sure you will be paying a personal price for your courage, and I trust that you will be sustained through what is to come. I think you're on the right side of this fight, and I hope for the best for your endeavors. (2) It saddens me that you are going to be on the receiving end of the same kind of treatment that, according to your post, you glady--and without regret--dished out to your "enemies" in the previous war for the SBC. The sense of injustice, hurt, and misrepresentation that you now feel will probably be very similar to what they felt as they were pushed out of seminary and leadership positions in the same way that you will be. My prayer is that God uses this experience to help bring you to the point that you will look back on those days with true regret for the division that occurred; that God will bring you to look with compassion upon those who were cast aside in the 1980's and 1990's; and that God will prompt you to ask forgiveness from the good Christians who were hurt on the losing side of the previous war. (3) Speaking of war, I'm not sure using "war" imagery to describe a disagreement with your fellow Christians is the best way to go. Wars rarely end in reconciliation; they end in victory and defeat. The scriptures teach us to seek reconciliation with our fellow believers, not to defeat them. Our words mean something, and in this case, I think your choice of "war" to describe this current disagreement is less than helpful. (4) I think it would be helpful to your cause if you make a concerted effort both to love those on the other side of this disagreement and to proclaim that love loudly. It is OK to disagree with your Christian brother or sister, but only if you love them first. To put it another way: don't give your "enemies" any justification to ignore you. Let them know how much you love them, and do it publicly. (5) Lastly: I was in a similar situation years ago, and because I thought I was right, I became a victim of my own pride. There is something inherently self-affirming in thinking that you're right about something and someone else is wrong. It is hard to remain humble. Pray for humility every day, and really seek it. Ask someone who you trust will give you honest advice to call you out if you ever become prideful in your rightness. My prayer for you is that you don't develop that same attitute against your fellow conservatives. Whether you have that attitude toward those who have already been expelled from the SBC is another matter, and it is one for prayer. Finally, just a quick history lesson for GeneMBridges. He asked if I were a reformed Baptist and that if not said that I am not in line with the Sandy Creek Church tradition. The Sandy Creek Church was not a particular Baptist Church. It was a Separate Baptist Church, which means it was moderately Calvinistic as opposed to the strong Calvinism of the Particular (or Regular Baptists as they were called) churches in Charleston and other places on the east coast. Do you really want to go there? I happen to specialize in confessional histories, particularly in the Sandy Creek history. If you are not Reformed you most certainly are not in the Sandy Creek tradition. Read the Sandy Creek Confession. Read the histories of their daughter churches. "Holding believers baptism; the laying on of hands; particular election of grace by the predestination of God in Christ; effectual calling by the Holy Ghost; free justification through the imputed righteousness of Jesus Christ; progressive sanctification through God's grace and truth; and final perseverance, or continuance of the saints in grace; the resurrection of these bodies after death, at the day which God has appointed to judge the quick and dead by Jesus Christ, by the power of God and by the resurrection of Christ; and life everlasting. Amen. There is no evidence this is a later addition, despite the Shurden thesis. Elder Lemuel Burkitt, the writer of the Kehukee Association history traveled with Stearns and Marshall himself and testified to their solid belief in the doctrines of predestination and election. Would Elder Burkitt have desired fellowship with the Separates if they were free-will Baptists or "moderate" Calvinists, after having just helped write primitive Articles of Faith for the Kehukee Association which denounce free-willism and which explicitly articulate sovereign election, total depravity, irresistible grace, and perseverance of the saints? No church which Stearns and Marshall formed include statements of "moderate" Calvinism or free-willism. Daniel Marshall established the churches of the Georgia Association, daughters of Sandy Creek. Article four of the Georgia Association Articles of Faith reads;"We believe in the everlasting love of God to his people, and the eternal election of a definite number of the human race, to grace and glory: And that there was a covenant of Grace or redemption made between the Father and the Son, before the world began, in which salvation is secure, and that they in particular are redeemed." Article six further demonstrates Daniel Marshall believed in sovereign grace. "We believe that all those who were chosen in Christ, will be effectually called, regenerated, converted, sanctified, and supported by the spirit and power of God, so that they shall persevere in grace and not one of them be finally lost." In 1816 The Sandy Creek Association, in which Sandy Creek Church held membership, adopted formal Articles of Faith. The articles represent more detailed explanations of the statement of beliefs contained in the Church's Covenant. Like the Georgia Association Articles, Article four demonstrates very solid Reformed soteriology "We believe in election from eternity, effectual calling by the Holy Spirit of God, and justification in his sight only by the imputation of Christ's righteousness. And we believe that they who are thus elected, effectually called, and justified, will persevere through grace to the end, that none of them be lost." You said they were not Particular Baptists. They were Separate Baptists. That's not quite correct. You are confused on the nomenclature. "Particular" is often used interchangeably with "Regular," but the difference between the Regulars and Separates has to do with the practices of their churches not their theological / soteriological convictions. Regulars and Separates are both Particular Baptists. The Regulars expressly and repeatedly affirm this in writing of the Separates and vice versa. The reasons that Regulars criticized Separates were never theological. They included: Not requiring strictly from those who applied for baptism an experience of grace; they alllowed members in their churches who were baptized prior to their conversion; indulgence is "superfluity of apparel," the choosing of moderators (or lack thereof), the role of women who were allowed to speak from time to time, and less formal worship. When John Gano came from Philadelphia Association, he did not complain about their theology, he was miffed about their practices. He specifically said they had the heart of the matter correct, which, in his vernacular, referred directly to their soteriology. Benjamin Miller in 1754 examined the Opekon and Ketocton churches in VA and received them into the Philadelphia Association. He examined those churches the same months that Shubal Stearns and Daniel Marshall were in them. He gave them a very warm report and rendered positive judgment. Miller had previously accepted the judgment of his Association that it "cannot allow that any are true members of our churches who deny the said principles" of total depravity, unconditional election, effectual calling, and the certain perseverance of God's elect. He was not offended by their practices or their theology, and spoke of both warmly. You'd have to believe he had a major lapse in discernment to give such positive reports about these churches, Daniel Marshall, and Shubal Stearns himself to Philadelphia Association in order to hold your thesis. In 1763 Charleston Association attempted a union with Sandy Creek Association. In 1769 Kekocton Association attempted a union. They did not join Kekocton or Charleston because they felt parts of their confession (Philadelphia) were too binding and that confessions gave the impression that confessions, not Scripture grounded the authority of conscience on believers. They did not disagree with the theology of the Philadelphia Confession. If these had been "moderate Calvinists" theologically, these associations would never have extended their fellowship to them or attempted union with them. The reason the Separates in Sandy Creek Association did not affect union with them is because they were reticent to practice confessionalism, believing confessions were inordinately binding, and more formal worship, not because they disagreed with the confession's content. In fact, we know from their daughter associations discussions of their reticence to adopt confessions that they were united with those in Charleston, Kekocton, and Philadelphia on theological content, because they unanimously stipulate to agreement on those areas in their discussions. It is a different stream historically. No, it is a related stream, not a different stream and their designation has nothing to do with their theology. Morgan Edwards in his chronicle of the Separate Baptists in Virginia, written in the late 18th century said "These are called Separates," he wrote, "not because they withdrew from the Regular-baptists but because they have hitherto declined any union with them." He further specifically noted, "The faith and order of both are the same, except some trivial matters not sufficient to support a distinction, but less a disunion; for both avow the Century-Confession and the annexed discipline." See: Morgan Edwards, "Materials Towards the History of the Baptists in the Provinces of Maryland Virginia, North Carolina, South Carolina, and Georgia." The Regular Baptists first gathered in England in the early 17th century. The Separate Baptists were new light Congregationalists, who as a result of the First Great Awakening, became Baptists. Thus, they were formed on American soil. If you will recall, they are characterized by warm fervent worship and uneducated ministers. No, they were self-taught, not "uneducated." They also rejected the use of confessions. This is demonstrably false. They were reticent to adopt specific confessions for quite some time, because they felt them restrictive on the conscience of the individual; they did not reject, the use of confessions. This reflects the general attitude of those living on the frontier in those days and can be directly attributed to their culture, not their theology. Three of Sandy Creek Association's own daughter associations adopted confessions of their own, including one in TN that adopted the Philadelphia Confession. A fourth rejected the Philadelphia Confession, but this was not reflective of their theology, but, again, because of their view about the binding nature confessions could become. Sandy Creek Association drew up its own confession, called their Abstract in 1816. Between the writing of the 1816 Abstract and the founding of Sandy Creek Church itself, controversy erupted in VA in the Kehukee Association. That Association began as an association of Arminian churches, until 1765. Calvinism's introduction is attributed to Stearns before coming to NC after stopping in Kehukee Association. When they reformed, they adopted the Philadelphia Confession and then later developed their own confession. In 1777, the wrote their own confession. By the end of the 18th century, the Regulars and the Separate Baptists began to form unions because of their common interest in religious liberty. I believe their moderate Calvinism had a significant influence. Actually, the opposite is true. 1. By their own words, the Regulars and Separates were already in full agreement on their doctrines, some Separates even using the more stringent confessions. 2. They first made overtures because of the Revolution, "matters of national concern." 3. The Separates came to see that they needed confessional Baptists because they were having regular problems with ordination. The laying on of hands was an issue of contention between them and Regulars for some time. The Regulars felt the ordination standards of Separates were too lax; Separates found the Regulars too rigorous. Some Separate elders began moderating their views, some toyed with Arminianism. The Separates found this unacceptable, and began uniting with Regulars to stop this. Robert Semple noted of the Separates at first, that, "They did not entirely approve of the practice of religious societies binding themselves too strictly by confessions of faith, seeing there was danger of their finally usurping too high a place." 4. They united because the Separates, as they grew in number, saw the need for more formality and a confessional approach in ordering their churches and preventing a moderation in doctrine, and the Regulars found in the Separates an outlet for their theological convictions. 5. The term "moderate Calvinism" simply shorthand to insinuate the Regulars were not evangelistic. This is false as well. Robert Semple wrote of the Separates, "A large majority believed "as much in their confession of faith [the Philadelphia Confession] as they [the Regulars]did themselves." Oliver Hart of FBC Charleston called a meeting of the Charleston Assoc. to secure missionary labors to the interior of neighboring states, before Sandy Creek was founded. Later Richard Furman helped organize the General Missionary Convention. You can see this in that the New Hampshire confession of Faith was so quickly adopted and the old Philadelphia/ Second London Confession of faith was dropped. Because those documents are 95 % from the WCF and are highly restrictive for doing church. This is the same reason many Reformed Baptist churches today use that Confession. There is simply no record that "moderate Calvinism" played a role in this shift. Churches and associations had been moving away from those confessions since the 1770's, because they are unwieldy. When they wrote their own, they agreed with the LCBF and Philadelphia Confessions. The New Hampshire confession eventually became the Baptist Faith and Message. While the New Hampshire confession remained Calvinistic, it was a bit more ambiguous on matters of election and decrees. That is true, but Article 7 - 9 can only be read monergisitically. It places regeneration prior to justification in the ordu salutis. This is a view one can only hold if one is a Lutheran or Reformed. No synergist can legitmately read their doctrines into it when it is parsed. It lacks an affirmation of the freedom of the will, which General Baptists always included in that period. If this was a toning down of Calvinism theologically, then it lacks the expected markers. One is simply not confronted with it. Everything you wrote is derived from a particular reading of the history of that church that is unsupported. It is also an argument put forward by Walter Shurden, no friend to conservative evangelicalism. How ironic that, in your repudiation of the doctrinal ambiguity of the past, you articulate a theory of Southern Baptist history that begins with Walter Shurden, who no inerrantist would recognize. The reading is anachronistic and blinkered. However, I contend that one can be neither a true Calvinist nor Reformed and be a Baptist simply because you would have to give up your Baptist polity as well as accept covenant theology. Reformed theology Leads to covenant baptism and sacramentalism and to Presbyterian polity. Inevitably, it leads to Presbyterianism period. I think this is what is happening to John Piper. As he continues to rely on Reformed Theology, he will have to accept more Presbyterian positions. I know some Presbyterians who are very happy about his move. One congratulated him on his recent enlightenment. Also demonstrably false. Reformed Baptists have been around since the time of the Reformation itself. You are confused between Presbyterianism and Baptistry and what constitutes a Reformed distinctive vs. a Presbyterian distinctive and a Baptist distinctive. There is a vast literature on this subject. If one must give up Baptist polity AND accept covenant theology to be a true Calvinist, please explain Spurgeon? James Boyce? The Founders churches? The Sovereign Grace churches, which reject Covenant theology? The Primitive Baptist churches? Al Mohler? Mark Dever? James White? The LCBF? John Bunyan? Shubal Stearns and Daniel Marshall, who ironically, sprung from Presbyterianism and were quite certainly Reformed, as were their churches and the associations they formed. The list is quite long. Not all Calvinists are covenantal. There is no evidence that Calvinism leads to paedobaptism and Presbyterian polity, and the opposite is true, Reformed Baptists tend to spring from Presbyterianism not move toward Presbyterianism. They enter OPC and PCA churches these days when there is no Reformed Baptist or Sovereign Grace Baptist or similar church in their area. Even then, they are not required to affirm paedobaptism to be members. 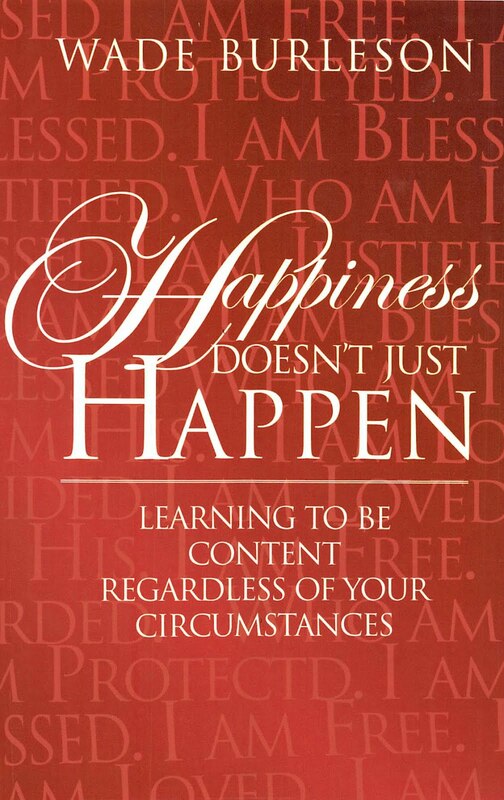 There is also a vast literature from Dr. Piper and his church on this. You neglect to mention that the majority of Presbyterians that have congratulated Dr. Piper have congratulated him on the basis that he considers unity around the 5 Solas and soteriology more important that unity around a baptismal mode. By the way, credobaptism is covenant baptism in the Southern Baptist Convention in that it symbolizes a person is actually in the New Covenant. The difference between paedo-covenant baptism and credo-baptism on this point is that one allows unregenerates into the visible church, the other is designed to keep them out, both views are, broadly speaking, covenantal. In Presbyterian theology it is a seal, not a sign. In Baptist theology it is a sign not a seal. However, there is debate over what the meaning of "seal" means within evangelical Presbyterianism at present due to the rise of the New Perspectivists. Ironically, their polity, viz. their church court system, has allowed them to keep New Perspectivism confined to a handful of churches and out of their seminaries and the majority of their churches. In Baptist polity, it is easier to spread heresy because all churches are autonomous and you can't enforce much, which is, apparently part of the rationale for the trustee decision on baptism. I am glad Marty told me about you. You expressed my feelings! Thank you for your encouraging words and support. I am a young minister currently serving a dual role in the areas of youth and education, yet feel one day God will call us to church planting. This most recent move by the IMB has brought great concern to me regarding the future of the SBC and the limitations of her ministries. I am conservative, reformed and Southern Baptist - yet according to these guidelines, both my wife and I may have to be rebaptized if called to the serve in the foreign mission field. I am glad to hear a trustee willing to take a stand in opposition to what I see as a largely politically driven Fundamentalist move. Thank you and you have my support. GeneMBridges, you need to find out what reformed means. You are misusing the term. It does not mean particular redemption. It is a complete system of theology that includes infant baptism and a sacramental view of the Lord's Supper. Baptists certainly came out of the reformed tradition but they were persecuted precisely because they were not reformed. Just because you hold to the five points of Calvinism does not make you reform. Neither does holding to the five solas make you reformed. These are reformed values but there is far more to it than that. And it is the reason that formed folk look down on Baptists who try to call themselves that. There was so much more wrong with your post (for an expert that is) but I don't have the time or the inclination to argue with you. And besides is not relevant to this issue of the IMB. It is not a conservative or a liberal issue, it is a matter of what Baptists believe. Most of us do not want tongue speakers of any kind on the mission field misleading new converts. (And I bet that the IMB asks a number of questions about what the potential missionary does in private, why wold their prayer life be exempt?) We do not want people who have no regard for Baptist standards in regard to Baptism. We are being invaded by alien theology and it needs to be stopped. I don't care to be a part of the larger Evangelical community, whatever that is, I prefer to be a Baptist because I think it bests expresses Scripture. It seems that some want to do away with our distinctives and I think these two issues are a threat to Baptist distinctives. And it is so sad that in order to oppose what most Baptist believe, we are labeled Landmark. But that is what poor argumentation does, it labels rather than present a cogent argument. My point about Piper still stands. I have read the documents, including the dissenting documents, which, by the way, show the same concerns I have. It will happen. According to what you all want, as long as the local church approved and accepted the canidiate, then they IMB should not ask about the nature of their baptism. It is sad but it seems after all the fighting over the last 25 years, many forgot the meaning of the Text they argued over. And they forgot their theology as well. I see that there are still some of you believe the battle in the SBC was about the text. It was never about the text. It was about who got to say what the text meant. We are now seeing the fruits of that battle, with the winners taking the spoils. I apologize for the length of this reply, but I feel compelled to respond to several of the issues raised. In particular, I have been troubled by several of the comments made by Randy. I hope these responses do not appear as mean-spirited or hateful. I mean to be neither. I am sure that Randy loves the Lord and is concerned about the direction of our convention. Personally, I am a concerned Southern Baptist (SB) pastor who is hopeful that a course correction may be made before the policies adopted by the IMB have their intended effect. I hope the following comments will be understood in that light. Response: I am exceedingly glad to hear that you have a biblical understanding of baptism. You say, “Nowhere in Scripture is Baptism associated with the Perseverance of the Believer.” I say, “Amen.” However, I know of not one single SB who would consider the baptism of someone in a Freewill Baptist church invalid. I am sure that these people do exist, but to say that “most Baptists” adhere to the stricter definition is not true. Also, and more importantly, Baptists have been defined historically by their allegiance to Scripture, particularly in areas of ecclesiology (see Stan Norman, More Than Just a Name). If, as you say, “nowhere in Scripture is Baptism associated with the Perseverance of the Believer,” then why turn around and appeal to the majority of Baptists (regardless of the accuracy of this statement). The leadership of the IMB is not there to parrot the beliefs of those in the pew but to lead. And part of that leadership task is rightly dividing the word of truth. For the purpose of illustration, what if almost half of SB comes to believe in both private and public tongues. Should the IMB trustees take a poll to determine a SB position? Should then IMB policy flow from the results of this poll? Surely not. This is the kind of tactic employed in White House administrations and Congressional offices, not in our denominational entities. The Scriptures are our guide. Randy: Baptists are now suffering from theological ambiguity and I am afraid that lowing the baptismal standards will only make the problem worse. It seems to me that as Baptists adopt the worship style of AOG and others they are also adopting their theology and their theology is horrible in many places. 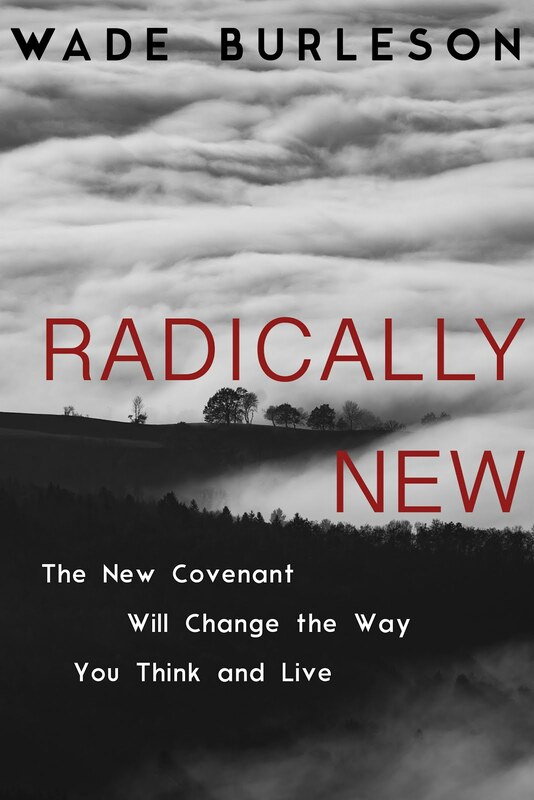 I am concerned that an Assembly of God candidate will meet the residency membership requirements and yet still hold to charismatic theology and then teach it on the mission field. It is easy to mask bad theology or to change one’s mind once on the field. Response: This is why we have an extensive questionnaire, interview process, and signing of BFM 2000 by each and every full-time appointed missionary of the IMB. Randy: Let me give you an example. John Piper is quite popular among younger pastors and many try to imitate his theology. Recently his church adopted a policy of accepting members into their church who have been “baptized” as infants, sprinkling of non believers. They claim that they are still committed to believer’s baptism by immersion but they now have made this decision to accept a non Baptist view of baptism for adult members. I am concerned that his popularity will influence young SBC pastors who don’t really know any better. And what happens when, in a series of events, a Presbyterian comes to membership in Bethlehem Baptist church without proper baptism then becomes a Southern Baptist by statement and applies to be a missionary? Once you start to loosen your standards, you will create chaos. Response: Let me begin by saying that I believe Piper to be dead wrong here. I follow his ministry closely and greatly appreciate his passion for God. But his ecclesiology leaves a lot to be desired. More to the point, however, is the fact that this illustration you give is irrelevant to the specific issue at hand. The Bethlehem example you cite would involve someone baptized as an infant, not as a believer. I agree. That person’s baptism was invalid. But we all know that this is not the kind of situation about which everyone is so concerned. We are deeply disturbed by the rejection of someone who was biblically baptized, has Baptist convictions on the issue, and is willing to affirm those convictions by signing the BFM 2000. The Bethlehem example is apples and oranges. Randy: And one last statement about the prayer language issue. I don’t care who has practiced it, it is unbiblical. It is a poor argument to suggest that because Bertha Smith or others did so makes it ok. What does Scripture say? What has been the Baptist position? I dare say that most people are not aware that Bertha Smith practiced prayer language. The issue is not who has done it, the issue is what is right. It is the responsibility of the Trustees to uphold proper theology, not make exceptions on the basis of some historical person’s private habits. If it came to light that several great Baptists of the past were adulterers would that make it ok to lower that standard too? Prayer language and glossalia are all false unbiblical practices and they are certainly unbaptist practices. Response: Again, let me start by affirming what you say: individual historical precedent is insignificant here. I don’t really care if Bertha Smith practiced prayer language or not. My question is yours as well, “What does Scripture say?” I think you are making some pretty bold statements when you say the following: “I don’t care who has practiced it, it is unbiblical.” Two comments. 1) Paul seems to have practiced something along these lines (“I thank God that I speak in tongues more than all of you”). 2) More importantly, on what grounds is it unbiblical? Does not Paul say, “So, my brothers, earnestly desire to prophesy, and do not forbid speaking in tongues”? Perhaps you are a cessationist. If so, then you should probably seek to defend that view rather than asserting without qualification that this is unbiblical. Maybe it is, but why? More importantly, why does the IMB reject this practice? The position of the trustees must be defended publicly on biblical grounds and not on majority/minority ones. As a sidenote, I find it interesting that you defend the tongues policy by hammering away with the Bible. You even say, “It is the responsibility of the Trustees to uphold proper theology.” I agree. And proper theology says that one’s position on eternal security has nothing whatsoever to do with the validity of a person’s baptism. Randy: We do not want people who have no regard for Baptist standards in regard to Baptism. We are being invaded by alien theology and it needs to be stopped. I don't care to be a part of the larger Evangelical community, whatever that is, I prefer to be a Baptist because I think it bests expresses Scripture. It seems that some want to do away with our distinctives and I think these two issues are a threat to Baptist distinctives. Response: This comment is very troubling to me. First (and again), no one is suggesting that the IMB lower the standards of baptism. The problem is the raising of the standards to an unbiblical level. Nowhere in the Bible is the doctrine of eternal security tied to one’s baptism—nowhere. SB simply want a candidate who has been biblically baptized (believer baptism by immersion) and affirms that way of baptism now. Second, you say you “don’t care to be a part of the larger Evangelical community” because you prefer to be a Baptist since that best expresses Scripture. This comment blows me away and is, in my opinion, the expression of an attitude that alienates SB in the minds of so many believers from other denominations. In effect, you are saying that you have no desire to be a part of the larger community that believes in the Lord Jesus Christ as Savior, that teaches salvation is by grace alone through faith alone, and that affirms the sufficiency and authority of Scripture. Jesus said, “By this all people will know that you are my disciples, that you love one another.” And, again, He says, “I do not ask for these only, but also for those who will believe in me through their word, that they may all be one.” No one is saying abandon your Baptist convictions. I won’t discard mine and you shouldn’t ditch yours. But a Baptist ghetto is not where our convention should head. Third, you mention Baptist distinctives. I know there is discussion among Baptists (especially moderates and conservatives) over what constitutes our Baptist distinctives. But how these two issues before the IMB represent “a threat to Baptist distinctives” escapes me. The issues of private prayer language and “position-of-church-that-baptized-you-on-eternal-security” do not rise to the level of Baptist distinctives in my judgment. Let us uphold our Baptist distinctives with intelligence, integrity, and intensity, and let us leave the minutiae aside in these matters. May God give us clear minds and pure hearts as we continue to seek His will. The first sign of "gentile" conversion was that they heard them speak with tongues and magnify God. That can't be... I mean they didn't agree to a baptist confession of faith... how dare they????? OOOOPs real problems here. It's not bad enough theyspoke with tongues. They prophesied. No that can't be. Oh that's right, when they were prophesying they were preaching.... They were new believers and they just took off preaching each other... short message I'm sure since they weren't exactly really versed in scriptures. 9 to another faith by the same Spirit, to another gifts of healings by the same Spirit, 10 to another the working of miracles, to another prophecy, to another discerning of spirits, to another different kinds of tongues, to another the interpretation of tongues. 11 But one and the same Spirit works all these things, distributing to each one individually as He wills. Someone failed to tell the Holy Spirit he can't do that. Tongues are unbiblical. 1 Pursue love, and desire spiritual gifts, but especially that you may prophesy. 2 For he who speaks in a tongue does not speak to men but to God, for no one understands him; however, in the spirit he speaks mysteries. 3 But he who prophesies speaks edification and exhortation and comfort to men. Paul wants everyone to speak in tongues and prophesy. Will heresy and apostacy never cease? !!!! That does it, Paul can't be an SBC missionary. He's fired, disqualified. .So I guess the SBC knows more about the will of God than the Apostle Paul. Paul must have been a heretic. Oh my- there goes nearly two thirds of the books of the New Testament- OOOPs that's the bible. - It can't be - he was inspired when he wrote it right.... What are we going to do? How many Southern Baptist would argue that knowledge has vanished away. If prophecies have failed and tongues have ceased, has knowledge vanished away? Scripture only says when that which is perfect is come, then that which is in part will de done away. That hasn't happened. The scripture of cannon isn't great, but the passage refers to the return of the perfect one, Jesus. The fact that we are arguing about scripture means we need a mediator, and that which is perfect has not come. While I believe the scriptures are without error, I believe the believers are fallible - that explains the reason we have hundreds of different of denominations. Not all Southern Baptists can agree on interpretation of some passages, much less other Baptists, the AOG, the United Methodists, etc. Jesus is the perfect one. There won't be any interpretaton when the incarnate WORD of God comes back. So unless we are no longer in the last days, people still prophesy. We know knowledge has not vanished away. And toungues have not ceased. I don't expect this to change minds, but I sure had fun with it. Go ahead try to change mine. But I warn you a man with an experience and a whole lot of bible is never at a disadvantage to a man with an argument.... All I can say is Thank God I'm not Southern Baptist. Sorry I've got to go try to get my dad delivered from this bunch of liberal - non bible believing group called the Southern Baptists. For those of you who have spoken up in this blog who oppose what the SBC is doing, I salute you and your courage. As for the rest, I won't change your minds, and you won't change mine. But as a charismatic, I don't feel the need to remain silent especially when the weight of scripture supports my position. I won't spend time engaging your arguments. I, too, think the IMB erred in its policy regarding tongues. However, I think the issue is far more complex than you suggest. Mere quoting of Scripture without serious attention to the differences between Acts and 1 Corinthians tongues is rather unhelpful. Nevertheless, the reason for my post is not exegetical. Instead, I was deeply troubled by the spirit of your post. We may have differences in interpretation and, consequently, policy, but sarcasm, name-calling, and tasteless challenges to brothers and sisters in Christ are beneath the standards of Jesus. Please keep this in mind as we discuss these highly-charged issues. You have every right to be upset at my post. I just hope that turns the other way. You see, as one of those charismatics, I'm used to lots of "name calling" from the other end of the spectrum. But to say tongues are "unbiblical" as a couple of posts said. Well- It's obvious they are not unbiblical- we can disagree over their use - but I'm tired of some of those who believe they have a superior view of scripture, putting those of us who disagree down - and even more so - though not specifically in these posts labeling us as being in apostacy or heresy. Most charismatics have the same love of the Word and scripture that our Southern Baptist brothers have - and we are quite willing to let those who disagree with us choose to do so and worship and minister as they do - but frankly, I've turned the cheek way too many times and yes it was sarcastic - intended as such - I will no longer let my charismatic brothers and sisters be slighted or dismissed as being somehow theologically challenged without challenging those statements. Anger - yes - I know a man who served as a SBC missionary for nearly thirty years and because of it there are dozens of thriving churches in South America - according to the SBCs standards he couldn't be a missionary in your denomination today because he speaks in tongues - never in a public setting. Then when some character on the blog says that tongues are "Unbibilical" It's way too much. Frankly I checked the poster out - he pastors a small church he says - my friend who speaks in tongues and considers himself a good Southern Baptist and gave most of his life in missions and probably hundreds like him deserve better than they are getting from their so called "brothers" in the SBC. Pentecostle and Charismatic churches all over the world are growing at a faster rate than non-charismatic churches - is it possible God's behind it. As for the scriptures - you have to admit - it certainly was biblical at one point - like it or not - the challenge for you is to prove (BIBLICALLY) that it is no longer for today. You can't do it. The weight of scripture in context and throughout the passages sited make it clear that tongues are for today - nothing has passed - God is still God and still doing the supernatural - including tongues and prophesy. Thank for you reply. I would like to respond to a few of your comments. I don't defend those who label and name-call charismatics or Pentecostals. If you or those you know have been labeled heretics or have been accused of apostasy because of tongues, that is wrong and foolish. This is unbiblical regardless of the denomination. However, the failure of others does not justify your sin. Regrettably, you do not seem troubled that you are returning in kind and in spirit the harsh words you've received. On to the exegetical issues you've raised. Maybe my post wasn't clear enough, but I did say that I agreed that the IMB was wrong in its policy decision. Obviously, tongues are not unbiblical in the strictest sense. Tongues are mentioned in both Acts and 1 Corinthians. Regarding the question of their continuance today, I am not willing to say that tongues have passed away. I think Paul argues quite clearly that they will continue (like all other spiritual gifts) until "the perfect comes" (1 Cor. 13:10), which I take to be the return of our Lord. After He comes, the need for spiritual gifts will have passed, leaving only faith, hope, and love. Personally, I have never spoken in tongues nor do I seek that gift presently. Furthermore, I am not even sure what the gift is and if the present-day (roughly the last century) practice is truly reflective of the Biblical model. I just don't know. Having said all that, I am therefore not willing to forbid speaking in tongues (1 Cor. 14:39). I may not know what it is or if the present-day phenomenon is biblical in spirit and practice, but I do not believe I have the right or authority to prohibit it. As for the comment that Pentecostal and charismatic churches are growing at a faster rate than non-charismatic churches, I would be hesitant to make such an argument. First, I would invite to examine the growth statistics of Mormons and Jehovah's Witnesses. I don't think either of us want to suggest that God is behind these movements. Second, and more fundamental, statistics are not the standard for truth. God's Word should be our guide. As the current coordinator of CBF of Oklahoma, I was particularly concerned by some of the statements on your blog today. I was not in Oklahoma twenty years ago when you began to fight "liberals." I was with my family overseas as an SBC missionary sharing the love of Jesus Christ with those who had not yet heard it and starting new churches in Africa and France. And I was not in Oklahoma ten years later when you "nailed your thesis" on a door. I was a CBF missionary sharing the Gospel with the Gypsy people of Eastern Europe, the Middle East and India who had known only hate and rejection through the centuries. It seems to me that it is much better to be working to build up the Kingdom of God rather than continuing to crusade for hate and division. This is the message of Jesus, the Prince of Peace, as I understand it. May we continue to please God in all that we say and do by sharing the love of His Son Jesus in our world! There is already enough hate being dispensed that echo little of the Gospel! I agree with Wade, but I regret that he and other Southern Baptist leaders have come to this revelation a bit late and that he still expresses admiration for the tactics and actions (not just the convictions) of Dr. Patterson and Judge Pressler. I am a fiftyish Deacon in an SBC church, and I was not involved at all in SBC politics, until I noticed that the BF&M 2000 prohibited women pastors, even though one can find carefully reasoned, thorough interpretations that do not question the inerrancy of scripture that reach a different conclusion. There are prominent conservative evangelicals who disagree (for example, James Dobson). The idea that this issue would be used to exclude fellowship of churches in regional associations or to exclude the service of missionaries seemed inappropriate to me. Please, before you say that 1Timothy 2 is absolutely clear on this and anyone who interprets it differently mut be a liberal, remember that the most conservative of the SBC leaders do not interpret 1Corinthians 11 literally with regard to its requirements for the behavior of women and men in church. Are they liberal too? I have read "Reclaiming Biblical Manhood and Womanhood" and I noted that the opposing views were discussed and not all that effectively refuted. There is room for Bible believing conservative people to disagree on this and on other issues. Unfortunately, this one has already been "codified" and cuts us off from converting the approximately 70% of the US population who believe that women should be able to serve as pastors (according to a recent Gallup poll). I have heard and read enough about the battles against liberalism in the SBC to believe that some changes were needed. However, I also recall as a layman being really excited and ethused about the prospect of reaching the whole world for Christ by 2000 (does anyone remember Bold Mission Thrust?). All I recall hearing from the SBC meetings since then is a consistenly tightening list of those who are qualified to be or to cooperate with Southern Baptists (just ask the BWA about this). It is sad that Wade and others did not say something about the brutal tactics that accomplished the "resurgence" before some of their friends or some issue they cared about was threatened. I suppose they would argue that something had to be done and it could not be done by reason and persuasion (with the influence of the Holy Spirit) in an open, non-coercive environment (as modeled in Acts 15). I would suggest that the methods mobilized by Dr. Patterson and Judge Pressler are unscriptural (and I believe they are immoral) and that it could have been predicted from the very beginning that they would not end happily. 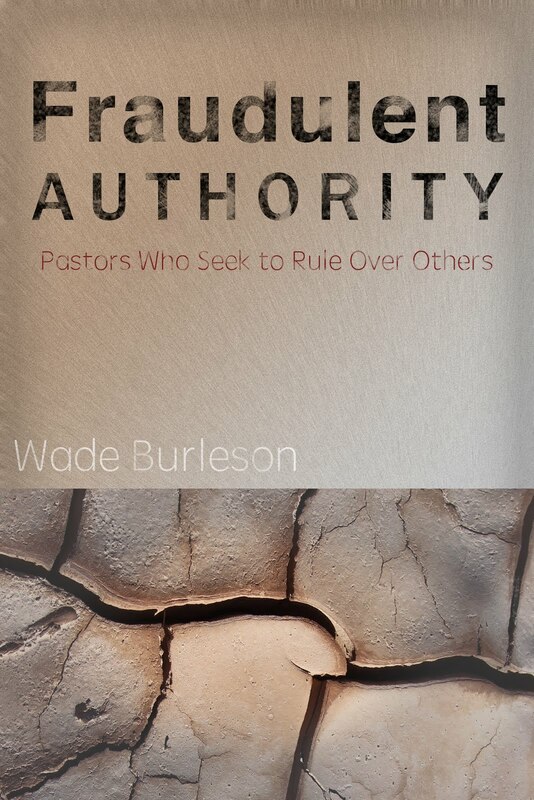 I have read with great interest Wade Burleson's comments on recent activities among the trustees of the IMB. I am thankful for his support for the staff and missionaries of the IMB. I admire his courage and his willingness to oppose the inappropriate actions of some of our trustees when they meet together outside of the normal channels to plot against certain individuals. I would have to agree with Stephen Pruett and my friend T Thomas in voicing confusion at his support for his friends Pressler and Patterson and their takeover methods. Do you not believe that Paige Patterson is supporting and encouraging this group in all that they are doing? Are you willing to stand toe-to-toe with Paige Patterson and tell him you oppose this? Your picture looks fairly young so you may not be aware of what was taking place 20 years ago when you say the SBC met its Wateloo. You make this statement, Patterson, Pressler and Rogers showed "foresight, courage and wisdom in snatching the SBC from the clenched jaws of dead neo-orthodoxy and restoring our seminaries, agencies and institutions to an unapologetic adherance to the inerrancy of God's word, the sufficiency of Christ's work, and the evangelical missionary zeal which has marked the SBC since her formation in 1845." The IMB did not need to be snatched from those clinched jaws. It was already unapologetic in its adherance to the inerrancy of God's word. That did not keep leaders of the conservative resurgence in those days from using the exact same methods you criticize today to attack theolgical conservatives at the board and plot against the IMB president at that time. Did you support those actions? My seminary, Southwestern, did not need to be snatched from any jaws. It was already unapologetically theolgoically conservative but that did not keep trustees there from using the exact same methods you criticize in attacking the professors and President Dilday. Were you opposing them them or did you remain quiet? My state convention, Arkansas, has been theologically conservative but that has not stopped the leaders of the conservative resugence in my state from attacking our state convention and its institutions and controlling the trustee representation from our state. What about when you were state president in Oklahoma. Were you one who exluded those who did not support the conservative resurgence or did you include all theological conservatives. Does your state have any not supporting the resurgence serving as trustees in SBC agencies? Keep up the good work in shining light on the actions of the IMB trustees but also ask yourself do you have a need to repent of past actions. Your comments and those who respond give fresh evidence of the question: "Who will Conservatives find to hate next?" I see an additional factor: "Everyone must have some specific title to his theology and verbage to identify who he is." What is wrong with loving and forgiving one another and leaving the judging to God??? It is obvious I am one of those infadels labeled "liberal." I reject that label and beg to be called a "free thinking Baptist." It all has to do with Autonomy which seems to be forgotten these days EXCEPT as defined lately as "You must believe exactly as I believe so that we have unity." These lockstep requirements will be the downfall of an open religious society which has excelled all other competitors for people to join a group of Christians called "Baptist." I underscore the question of a recent SBC national convention: "If we have reformed the liberal SBC, why have we not grown as we said we would?" Check your statistics, check your judgmental attitude, check your love factor and see if we are not showing the bad side of being Baptist with this current controversy. Interesting that you're blogging now. I teach a class at your old church in Tulsa, Sheridan Road, and I will make sure to tell them about your blog. Several of them will, I am sure, be interested. Wow, thanks for your heart and passion. I am encouraged to stay put in the SBC, at least until i am sure God is call me out. As a conservative, I came to the SBC about 8 yrs ago because i felt that the SBC was the BEST and most biblical denomination. It was hard for me to be come a baptist, mostly because of the stereotypes that i had believed and spread. But I truly believed that the SBC church that i serve now was where God was calling me. But more and more i feel that the powers on high have been slowly digging out the ground from under me. When i came to the SBC it was like i was welcomed with open arms and then was hand a list... a really long list that has more addendum's than.. well something that has a lot of addendum's. This is what you have to believe, and how to act, wear, sing, pray, and not Believe X,Y,Z or fellowship with those who do. The lists seem to never stop, as soon as we round a bend we have to kill another brother who is really just a devil or attack a practice that is not baptist, or defend against a nuance that is not liberal itself, but will probably lead to the edge that might for sure lead to the slippery sloop of liberalism. Anyway, thanks for taking time to put your thought out... they have been a real encouragement. Bro. Burleson, I tried to post this morning and got an "unable to connect to server" message and lost what I typed. I don't know whether you got it. If so, please disregard one of these as a double post. "My forefather, Dr. Rufus Burleson, was President of Baylor University and twice served as President of the Baptist General Convention of Texas in the late 1800's." I guess I overlooked this in initial readings of your blog. Rufus C. Burleson was a member of the "old guard", and is highly respected by those who know the history of Baptists in Texas (at least some of us). My great-grandfather was among his supporters when he was forced out of the presidency of Baylor by B. H. Carroll and others. The local association even passed a resolution denouncing their action. High-handed tactics are nothing new to Baptists in Texas. Have you read Joe Early's A Texas Baptist Power Struggle? He deals with the 1896-1900 split and in the last chapter compares this to the "new split" - BGCT vs SBTC. Do you know if Dr. Burleson left any writings of his opinion concerning the formation of the Baptist Missionary Association of Texas? I realize this will be nothing new to you, but some of the other readers might enjoy reading about Dr. Burleson. I did not get your post, I'm sorry, but I am grateful for your kind words and links that I hope readers will enjoy. I, as always, appreciate your gracious spirit. Well, I want to praise your willingness to stand by your principles and seek real conservative cooperation. I see, even in some of the comments on your blog, a rising tide of fighting over calvinism. And although I find myself firmly in the reformed camp I am a cooperative conservative and recognize that their are crusaders on both sides of this issue that will fight to the bitter end. I will be praying you continue to stand up for your convictions. I salute you. I praise your courage of conviction and fight for transparency decency,and trust in the IMB. God is using you! Now as one who served with the IMB for years, and years, and years, 17, been sick, lived in scary, dirty primitive places, held too many dead babies in my arms to want to recall, working with the poorest of the poor, sharing Jesus with those who had never heard, staring churches, ministering to human need, in the most backward awful places you can imagine, for years, and years, and years; I wonder, did you stand up for the convictions of the 70 or so IMB missionaries who were effectively run off from the field or out right fired because they wouldn't play the same game that many IMB trustees are playing now? Some were fired after thirty years, that is right, thirty years of faithful service, not because they believed wrongly, not becaused they behaved wrongly, not because they were afraid to be accountable, but because some unnamed IMB board memberers weren't satisfied with reams of interviews by the personel selection committee, co missionary testimony, home church testimony, national testimony, etc etc. The simple truth is they were just culling people out they happened to disagree with on unessentials, just like they are doing now. You standing up for your convictions is admirable and I will be praying for you, but it won't really cost you a thing. Not like it cost the missionaries who were run off and the people they ministered to. The firing and running off of God called faithful missionaries cost many wonderful families huge heart ache. Many, many, many wonderful, God called, home church affirmed, fellow missionary affirmed, national christian affirmed, missionaries, left fruitful service at the whim of some some unnamed power weilding personalites in the SBC/IMB. The worst result, some souls no doubt were lost to hell through lack of testimony or witness when the missionaries left. Who knows, maybe thousands went to hell over the fastidiousness of some of the archetcts of the "conservative" resurgence wanting make double sure all "employees" were completely loyal to the new guys in charge. And I just wonder, and I ask this as redemptively as I can, truly concerned pastorally for you wade as a man of integrity, did you stand up for them? Did you stand up when they stood on Scripture and conviction and wouldn't sign a man made document, however good it be? I hope you did. If not you should ask forgiveness. You simply must recognize you are a part of this whole fiasco if you played big role in the the "controversy" game that treated Gods servants so casually as to run them off over unesentials. You can wash your hands if you want to, but you are a part of this and need to recognize that the same unclean spirit that drove the missionaries from their God called fields of service and seperated you from many of your bretheren is the same one you are doing battle with right now. It is the same unclean sprit acting in the IMB and SBC today that your blogs so eloquentally expose. That insasiable consuming, mean, calculating, rage filled, spirit works even now to get rid of even Jerry Rankin, and any one else who loves Jesus and speak to him in a most intamate private way. Brother it is nothing but a horrible SIN. These are just Judizers wanting to circumcize everyone to their likings plain and simple, even if it means cutting them self off from the love of Jesus. Brother Wade you need to come to terms with it, think about it. You helped all this come about! Do genuine business with God about your past activities in feeding this filthy unclean sprit that has adulterated and spoiled the once beautiful IMB and SBC. And then continue on in your very needed work to expose the sick unclean spirit that has the IMB and much of the SBC by the throat and has for much of the so called conservative resurgence. It is the same dog you have been petting. Make no mistake, and he will bite you if you aren't really careful. And if you are wondering, I am one of those missionaries that was run off. No not fired, but how could I stay knowing my fellow missionaries were being run off with no remorese what so ever by the very IMB who should have been nurturing them? It was horrible, a horrible time for me and my family. The most traumatic thing we have ever experienced. I remember I had to learn about the firings from a state paper as the IMB sure didin't tell us on the field. And just in case you end up getting bitten real bad, by this unclean spirit dog that has ravaged the IMB and SBC, I want you to know, Jesus will still be there for you, it will hurt bad, if you get bit, real bad, but don't worry Jesus will be there for you Wade and you will recover. Even though we didn't want to, we found there is life beyond the IMB, even abundant life, wonderful Spirit filled life of service and affirmation. Too bad we can't still be with the IMB, but till that unclean sprit is swept out of the house I don't think I want to go back, even for a visit. I am praying for you brother Wade. Hold fast to Jesus and stand on scripture and don't let them run you off too. But if they do you will find yourself in good company. (please let me stay anoomous, as we still serve overseas and I don't want to offend any IMB missionaries with whom we are still good friends with and love deeply. I know they are all hurting enough! I am currently a senior Intercultural Studies major at North Greenville University. As part of my senior class project I am collecting various opinions and strategies concerning the new IMB policies and their effects on the local church. If any readers of this blog would be gracious enough send my their information and opinions and predictions it would be greatly appreciated. PLease e-mail Jason831983@aol.com. thanks in advance. In reading your comments on the schismatic tendencies of fundamentalist movements, I recalled very similar (and factual) charges against fundamentalism by Edward John Carnell in his book "The Case for Orthodox Theology" written back in the 1950's as best I recall. How did we ever allow that camel to get its nose inside our tent? As a young SBC pastor I want you to know that you are absolutely right about where the younger generation is headed. I hate legalism and I am tired of all this fighting. I am quite sure that I will not finish my ministry Southern Baptist and I, like you, have bled SBC my whole life. I left the Southern Baptist Convention before most of the "war against liberalism" as you refer to it, but I have followed the news. Are you surprised that after fighting against liberalism, you now have to fight against legalism? The legalism is just a further continuation of the same trend that you were a part of. I found your blog through a reference in a newspaper article on the recent SBC convention, and was interested in learning something about the conflict within the International Mission Board. Having had some experience in the Southern Baptist Church, I was intrigued by your concern that conservatives are turning against conservative. I was especially interested in the following quote: "Fundamentalism with a capital F is known for her independence, separation, schism-making, and her "I'll do it my way without your help because you don't qualify to work with me" attitude." If that is your concern, I would have to say that you may be 161 years too late in raising the alarm. Based on my experience, your definition of fundamentalism defines the very nature of the Southern Baptist Convention itself. There are few Christian churches that are more unwilling to cooperate with other Christian groups, and who insist on doing their work independently, whether in local church activities or in international mission work. And how many Southern Baptist congregations in your own area were started because of an internal schism of one sort or another? So, whether it's conservatives fighting liberals, or conservatives fighting moderates, or conservatives fighting conservatives, the nature of the SBC is to be in conflict, either with everyone outside, or, when no one outside really cares anymore, within the institution itself. After 161 years, maybe it's time to diverge from the path that began with the conflict that became the War Between the States, and take a path of reconciliation. I just came across your blog and I must say, it is very interesting reading. In years past, the SBC drew their swords against the likes of me, not because of my view of scripture, but because I believed that inerrancy was just a hammer to beat people with. I left the SBC because Fundamentalists are just too nasty. Now that everyone toes the party line on inerrancy, they had to find a new hammer. It seems that you have now found this out for yourself. I sincerely hope that you can change the SBC from within. God can use the SBC if its leaders with stop fighting and start taking the gospel to a sin-filled world. Even though 2000 has come and gone, it's not too late for Bold Mission Thrust. "The Southern Baptist Convention, through trustees of boards and agencies, is narrowing the parameters of fellowship and cooperation to the point that real, genuine conservatives are being excluded as unfit for service in the SBC." An old post, but I so agree with Stan. This has been happening for 25 years. I have many close friends and parents of friends who are "real, genuine, conservatives," including prominent successful, annointed, missionaries who were mercilessly and unreasonably slaughtered in the "Conservative Resurgence." The end does NOT justify the means, and the means have been and continue to be ungodly. Open your eyes. We welcome you on this side of that line in the sand.